April is said to be the time for seed starting, or patiently watching seedlings and waiting for the day when they can be put into the ground. For me, this year April has been a time of harvest, marvellous harvest. If you have to travel for work, as I do, then it feels particularly cruel to have to do so in March and Apri l. This year I was gone for most of those months and during one brief return home, I noticed that my kale and collards appeared to be pushing through the winter covers. There had been a few warm days and I imagined they had bolted. I couldn’t bear to look. 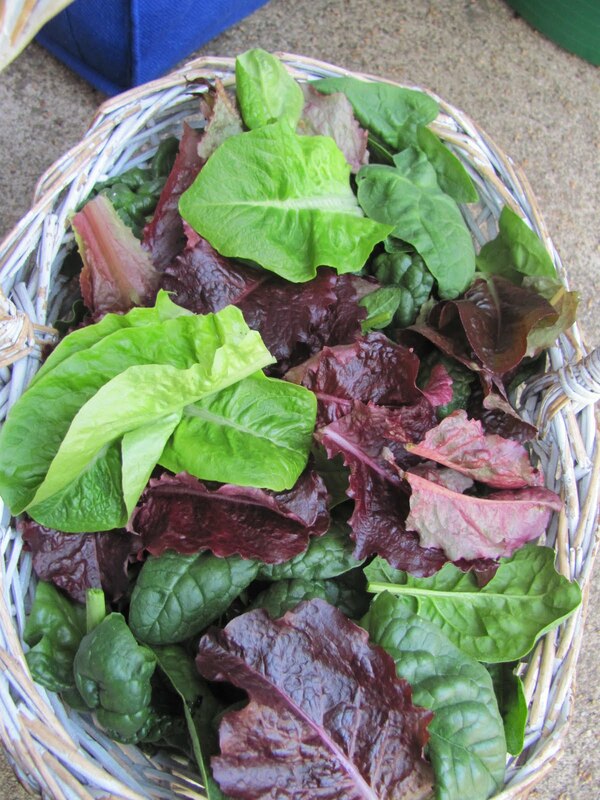 So it was with a somewhat heavy heart that I approached my garden a few days ago, and what a surprise…kale and collards galore, (very little bolting) as well as beautiful garden salads. 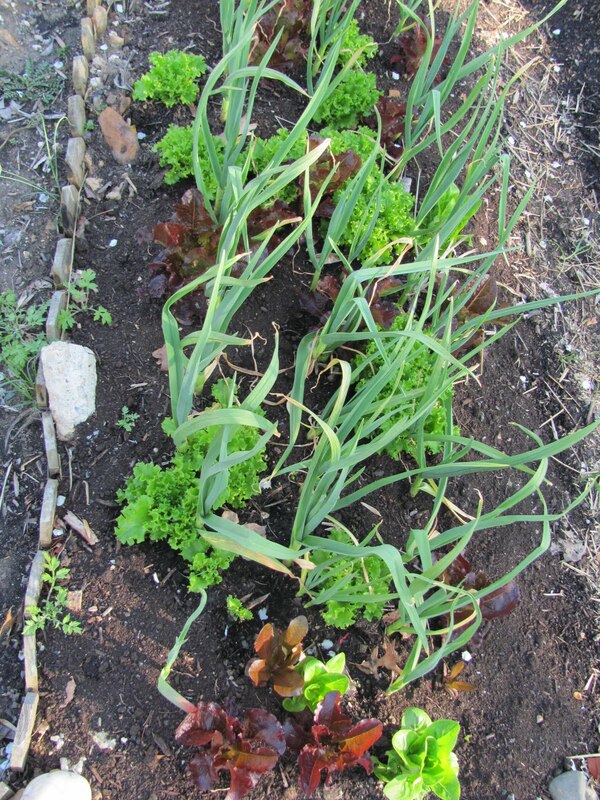 The last bits of salad seeds that I had casually strewn among the garlic in October/November (?) had turned into this beautiful bed. Kale chips are now in demand in my household – break the leaves off the stems, toss with a little salt and olive oil, place on tray in 250 degree oven, and voila, kids love it. This time I amde my kale with the last of my home-grown garlic and onions from last year – steam the kale, saute garlic and onions and toss in the steamed kale. Just verifying 250 deg for baking kale chips? Other recipes say 350. 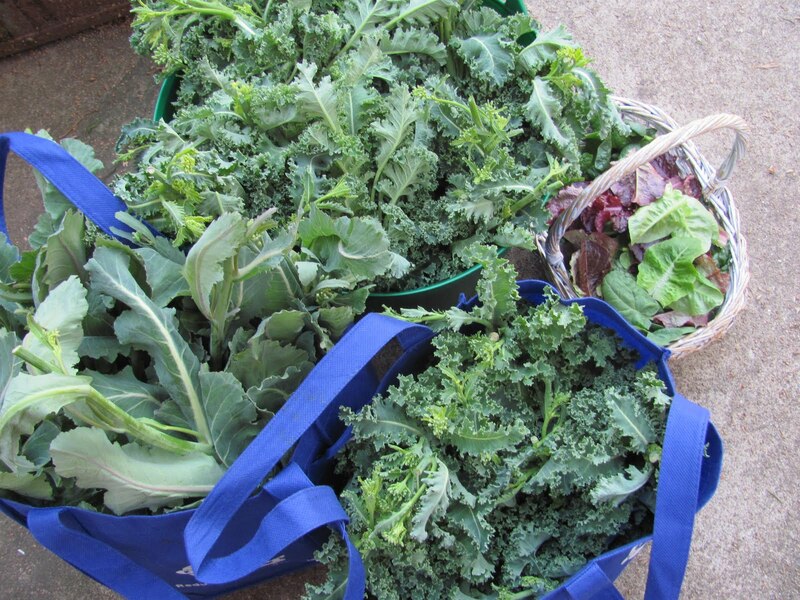 I have redbor kale looking good out in the garden, so I want to try this recipe! I do 250 in a convect bake oven, so it should be no more than 275…maybe 350 works too? ?